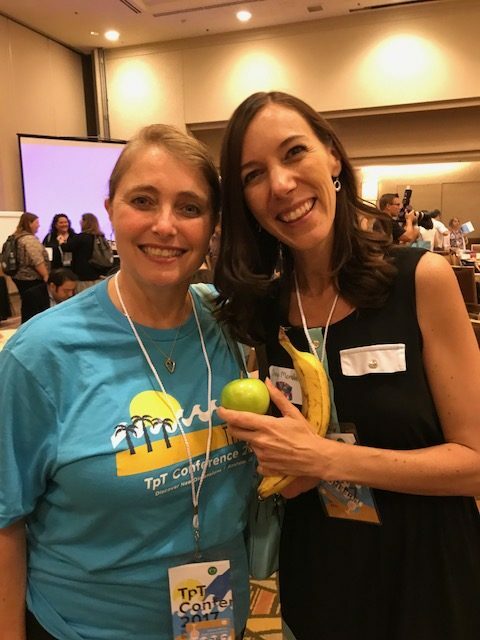 This year I attended my first TpT conference. It was an amazing, worthwhile experience. 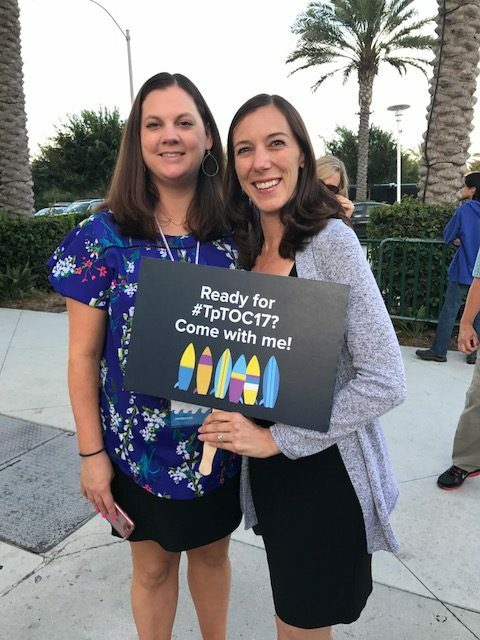 I couldn’t believe it – I have a fan out there in TpT-land! I knew that I would probably “fan girl” some big sellers at the conference, but I had no idea that this would happen to me. On more than one occasion, I was approached by someone who I had previously “met” in the forums, given advice to in a Facebook group, or featured on my blog. It was a surreal experience being asked to have my picture taken, as if I were a big deal! At the same time, I was starstruck to have actual conversations with Erin Cobb, Rachel Lynette, Deedee Wills, and THE Deanna Jump – and guess what? They are people, just like us! They eat complimentary breakfasts, just like us. They push elevator buttons, just like us. They attend sessions and learn things, just like us! 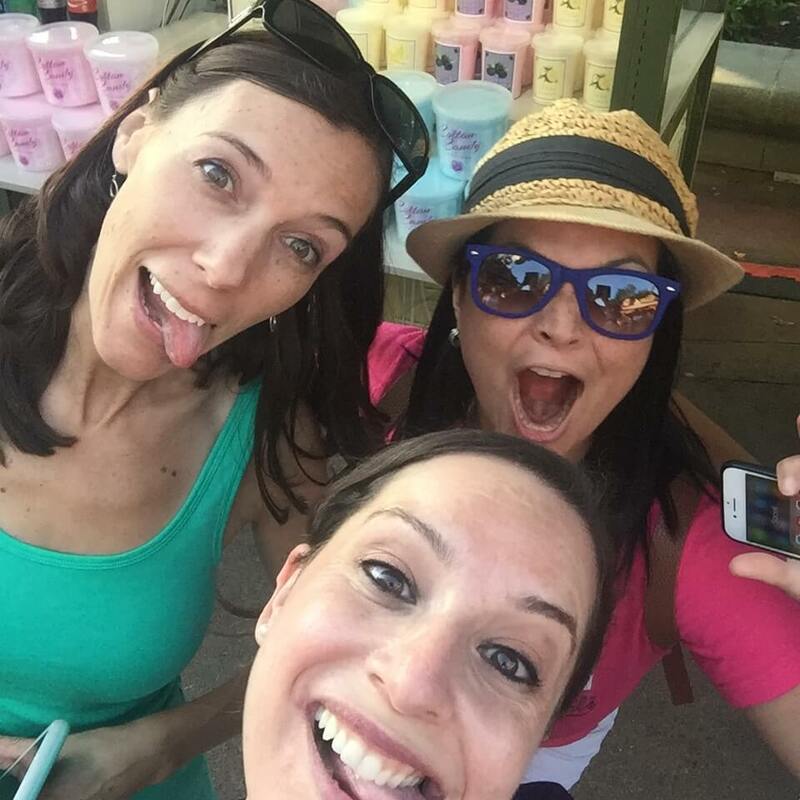 And if you think you aren’t a big deal to someone because you haven’t been selling long or don’t have an established store, here’s a fun fact for you – I met two people at the conference who didn’t even have a store yet! This is probably a no-brainer, but I was fully prepared for every session to be mind-blowing. Some sessions had amazing content and some speakers were incredible (regardless of topic). Some sessions had a few good points, but nothing earth shattering. And other sessions left me wondering, why am I here? Where did that hour of my life go? THE Erin Cobb – tells it like it is and is a dynamic speaker. It is not in my nature to walk out in the middle of someone’s presentation, but time after time, I saw “big” sellers doing this. You have to remember that you are paying good money to learn things that will help your business grow. If you aren’t getting value out of a session, it’s okay to find another session. If this sounds like something you would do, I’d recommend sitting near an aisle or in the back of the room, so as not to call attention to yourself. I was expecting this one, but it’s still important to take note of. The conference is physically exhausting. The days are long, and I found myself staying up much later at night than I do at home. Even though we were sitting during sessions, I found myself up on my feet a lot, and would definitely recommend comfortable shoes. I’m more of an extrovert than an introvert, but the amount of talking to people and networking really wore me out. I know a lot of people who skipped sessions just to take a break back in their rooms or get in a quick nap. I found myself shaking hands with people, and then realizing I had already met them the day before – oops! People’s actual names, store names, and faces became a blur. Couldn’t have made it through the conference without these amazing roommates, Barbara (Smarty Symbols) and Robyn (Mental Fills). These girls kept me sane! During the conference, I often found myself torn between multiple sessions. It really seemed like there were certain blocks of time where none of the sessions appealed to me, and other times when I desperately wanted to go to 3 or 4 sessions, but had to choose one. One suggestion for this is the “divide and conquer” approach – make sure some friends or roommates attend different sessions than you, and then set aside some time to share notes. When I left the conference I found that there were STILL people I wanted to meet (but didn’t), there were STILL questions I had (but never got answered), and there were STILL things I wanted to learn, but…you get the point. You just can’t do it all, and that’s okay. Even though multiple speakers (and Team TpT) try to make you feel better about “not doing it all,” you will still feel inadequate. I have this feeling that I should be posting to Facebook 5 times per day, making digital products, getting out there with video, creating an email sales funnel, and redoing all of my snippets for product descriptions. Guess what? That’s not gonna happen! It’s important to look back over all of your notes and prioritize. What is ONE thing you can do that will best help move your business forward? Do that one thing, and then pick another thing. You can’t do ALL of the things ALL of the time, so try not to be paralyzed by the overwhelm – just get to work. 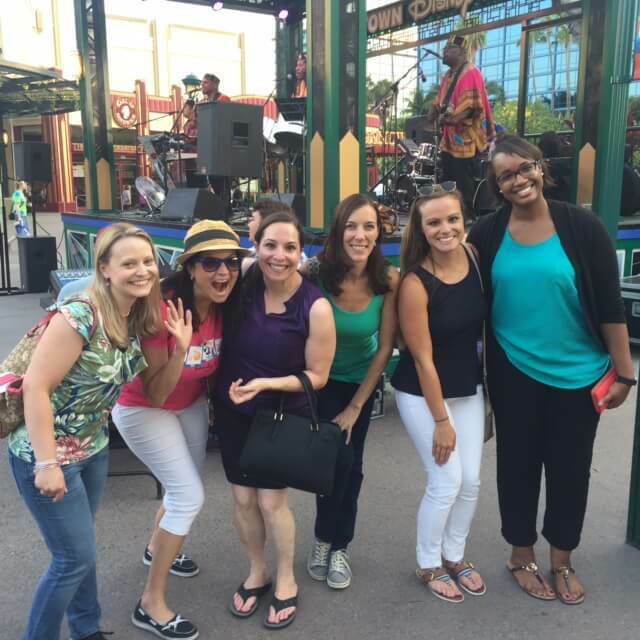 Met some amazing people and made lasting friendships – definitely worth it! If you have the chance to go to the conference next year, DO IT. It will be in Nashville from July 10th-12th so there is plenty of time to plan. Sellers of all experience levels have much to gain from the information and energy provided by the conference. Feel free to drop a comment if you have any questions or want to share some of your own conference takeaways. I could really use a team of hired help, lol! 🙂 Thanks for your comment – I hope to meet you next year! Didn’t we eat dinner together in Downtown Disney? Like you I was overwhelmed…. don’t recall many names (thank goodness I liked you on my phone)…and have so many ideas swimming around in my head of things I need or want to do now. It was my first conference even though I have had my store for 4 years. So glad I went. Motivating…. We went to dinner but sat at different tables. It was such a fun conference! Nice meeting you!